What is the Duct Tape Network? DTN gives young people the increasingly rare opportunity to build things that they care about. In the process, children have fun, feel good about themselves, and acquire important skills for their lives. Using low-cost, low-threshold, everyday materials, DTN is about transforming ordinary spaces (schools, community centers, churches, garages) into extraordinary making spaces. 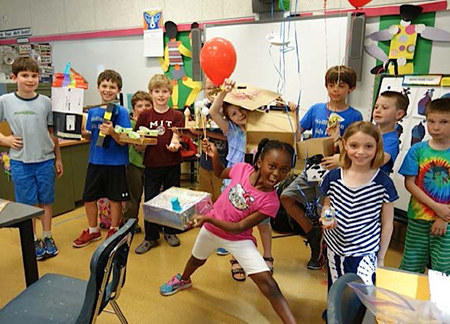 DTN Maker Clubs create opportunities for children to share ideas, collaborate on projects, and work with adults in a genuine, participatory way. 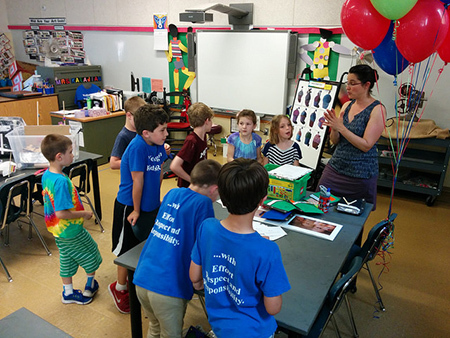 Why children and open-end, hands-on projects? Kids today don't have enough opportunities to explore their imaginations, tinker with their hands and engage in creating meaningful, open-ended projects. While adults are often uncomfortable when there is no structure or project ideas, kids often need this open space to create projects that matter to them. DTN Maker Clubs engage kids in the creation of things that they care about before they lose their natural curiosity or get seduced by more consumer-oriented technology. 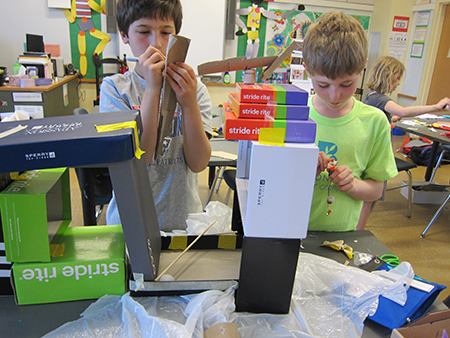 We provide appropriate structure, project sparks and compelling materials that encourage kids to create, tinker, and explore. How are the clubs run? 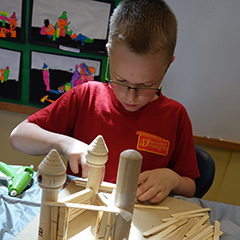 DTN Maker Clubs run as series of volunteer-based 1-hour weekly workshops that engage children 7-10 in the creation of personally meaningful, open-ended projects using everyday materials. You can run these workshops in your community! We provide a starting point and support you along the way. (check the resources) We also encourage you to adapt our resources to fit the needs and interest of your club. Your role is to run DTN Maker Clubs in your community! 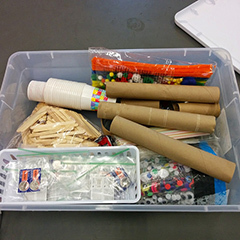 We created a "maker-club-in-a-box" and a 7-week curriculum that you can use as a starting point. We encourage you to adapt our materials to fit the needs and interest of your community. Contact us to get a copy of your DTN Guidebook. The Duct Tape Network is proud to collaborate with a highly inspiring group of creativity-oriented organizations. 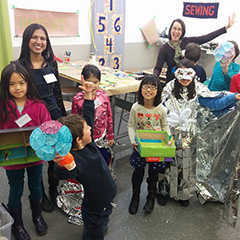 The Duct Tape Network has originally been conceived at the MIT Media Lab by Alisha Panjwani, Rachel Garber, and Leo Burd based on their experience designing creative technologies and environments for children in different parts of the world. 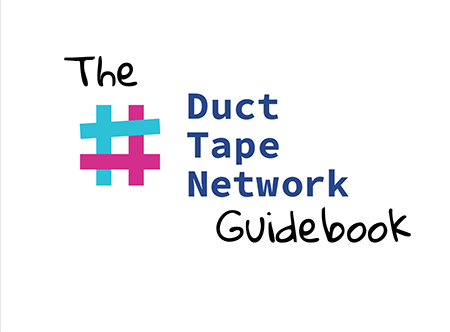 The goal of the Duct Tape Network is to evolve based on the contributions and feedback from parents, educators, children and everyone involved in creating and managing the DTN Maker Clubs.